Start this spiritual journey and cover cities like Varanasi, Allahabad, Ayodhya, Vrindavan, Haridwar and Rishikesh which are India’s religious hotspots frequently visited by the devotees of all over the world. 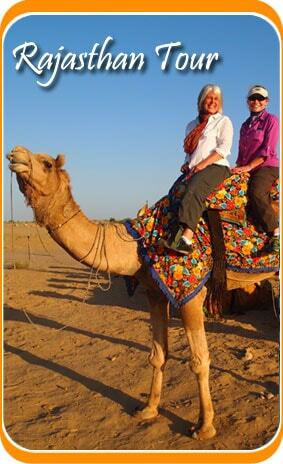 We at Travelsite India are committed to provide you with the best of services for a backpacker like you. Enjoy North India Pilgrimage Tour !! We would embark upon a day tour to Delhi as we go on visiting the Laxmi Narayan Temple, India Gate, parliament House, Jama Masjid, Red For, Gandhi Memorial and Qutub Minar complex as well as the Humayun’s tomb. Stay at the hotel for the night. Catch a flight to Varanasi and check into the hotel pre-booked for you as you reach there. We would then visit Sarnath, an important Buddhist site. Stay at the hotel for the night. In the morning enjoy the boat ride at the holy River Ganges. Then we would proceed to half day excursion to the city of Varanasi. Stay at the hotel for the night. Move to Allahabad by road. After the lunch we would proceed our journey by visiting places like Sangam, Ashoka Pillar, Allahabad fort, Akshaya Vatand Patalpuri Temple etc. Night stay at the hotel. We would move onto Ayodhya by road which is just 167 kms. away. Embark upon you day tour to Ayodhya as you visit the Ram janmbhoomi and also the Kala Ram Temple, Lakshmana Ghat and other Jain Holy places. Move forward to Lucknow by road (134Kms.). Stay at the hotel for the night as you reach there. Go on and visit the beautiful Lucknow residency, Bara Imambara, Rumi Darwaza, Clock tower, Chhota Imambara, Jama Masjid and the Hussainabad picture gallery. Board an overnight train to Agra. Check into the hotel pre-booked for you as you move towards Agra. After lunch you can go and visit the places like the Agra fort, The Taj Mahal and the tomb Of Itmad-Ud-Daula. Stay at the hotel for the night. You can also explore the nearby vicinity. 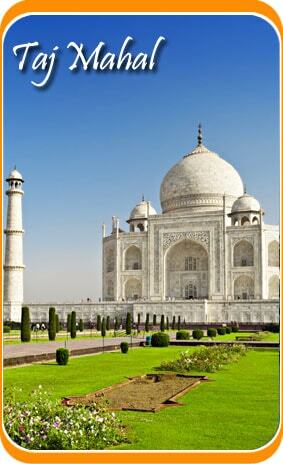 On this day visit the beautiful Taj as the sun rises. Have breakfast and leave for your road journey to Delhi. We would halt and take a stopover at Mathura and Vrindavan. Check into the hotel pre-booked for you as you reach Delhi. Begin your journey with a road trip to Rishikesh which is 230 kms away. On the way stopover to visit Haridwar and visit temples like Chandi Devi Temple, Gauri Shankar Temple, Bharat Mata Mandir, Mansa Devi Temple and enjoy the evening Arti at Har-ki-Pauri. Proceed towards Rishikesh. Stay at the hotel for the night. After a hearty breakfast enjoy a tour to Ashram and Temple of Rishikesh. Visit the Ram Jhula and Laxman Jhula. Stay at the hotel after enjoying the evening Arti at River Ganges. Leave for Delhi in the morning by road. Check into the hotel and take rest. Go visit the Chandni Chowk, Lotus Temple, and Akshardham Temple and enjoy the local markets of Delhi. Stay at the hotel. Go to the airport and leave for your home country. Your North India Pilgrimage Tour ends here.